Thanks to Paolo for this. I enjoyed watching the first film and been delighted with the sequel. After 11 years after the second film, Toy story is here for a pay back. Judging the trailer, familiar faces are coming back like Mr. Potato Head, Hamm, Rex, Alinky Dog and a lot more. 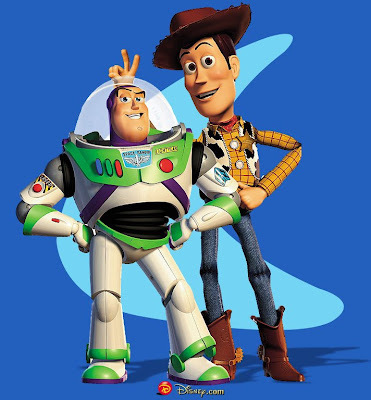 And of course, Tom Hanks and Tim Allen are back to voice the dynamic duo Woody and Buzz Lightyear. So Disney and Pixar now offers you the teaser trailer of Toy Story 3 that is set to premiere in June 18, 2010. Oooohhh!!! That was so darn cute and funny! Aside from The Last Airbender and Harry Potter films next year, Toy Story 3 will be another one to look forward to. Yay!!! yep definitely another film worth waiting for 11 years.